The piston (fixed orifice) and TXV (Thermostatic Expansion Valve) are the two most common metering devices in use today, with some modern systems utilizing an electronically controlled metering device called an EEV (Electronic Expansion Valve). It should at least be noted that there are other types of fixed orifice metering devices like capillary tubes, but their use is not common on most modern A/C systems though you will see them in refrigeration. 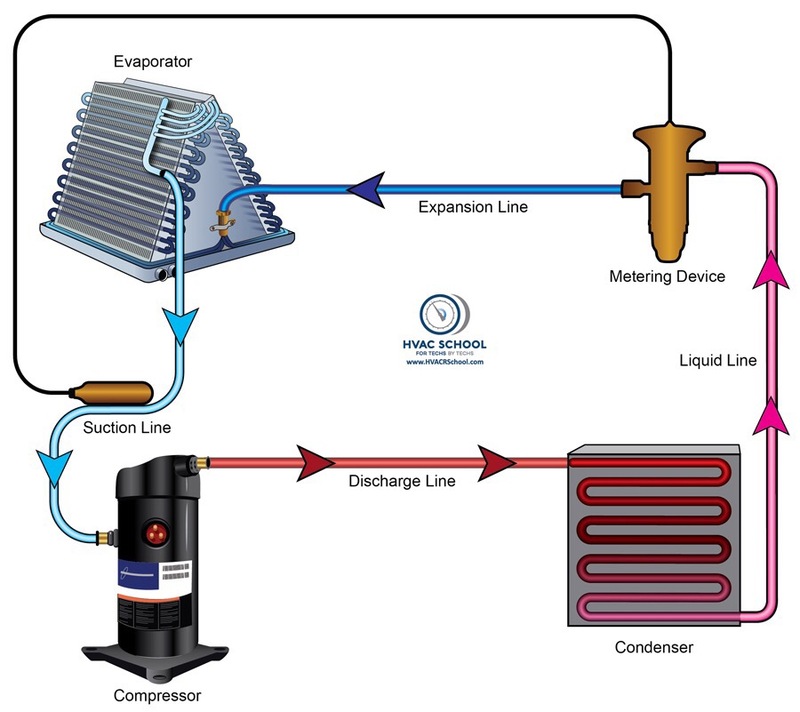 While the compressor creates the pressure differential to get the refrigerant moving, by decreasing the pressure on the suction and increasing the pressure on the discharge side, the purpose of the metering device is to create a pressure drop between the liquid line and the evaporator coil or expansion line (the line between the metering device and the evaporator when there is one). When the high-pressure liquid refrigerant is fed into the metering device on the inlet the refrigerant flows out the other side and the immediate pressure drop results in an expansion of a percentage of the liquid directly to vapor known as “flashing”. The amount of refrigerant that “flashes” depends on the difference in temperature between the liquid entering the metering device and the boiling temperature of the refrigerant in the evaporator. If the difference is greater, more refrigerant will be “flashed” immediately and if the difference is less than less refrigerant will be flashed. A piston is a replaceable metering device with a fixed “bore”. 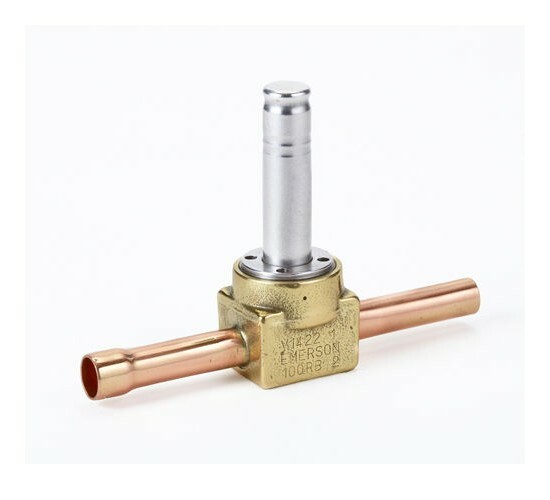 It is essentially a piece of brass with a hole in the center, the smaller the bore the less refrigerant flows through the piston and vice versa. The advantage of a piston is that it is simple and it can still be removed, the bore size changed and cleaned if required. Some piston systems also allow the reverse flow of refrigerant as shown in the diagram to the above. In a heat pump system when the reversing valve is energized (cool mode), the unit will run in cool mode and the refrigerant will follow the path indicated on the bottom. 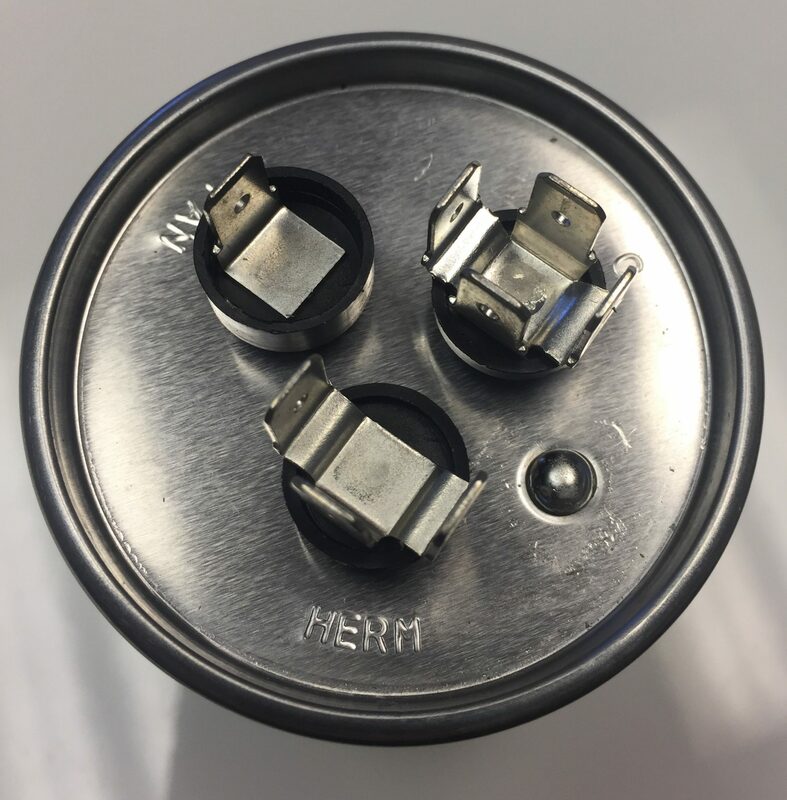 This seats the piston so refrigerant must pass through the orifice. With the reversing valve de-energized the flow reverses. This unseats the piston and allows the free flow of refrigerant. In this case, there is a metering device in the condensing unit (outside unit) that meters the flow of refrigerant in heat mode and one inside that meters in cooling mode. The TXV can vary the amount of refrigerant flow through the evaporator by opening and closing in response to evaporator heat load. compared to a fixed orifice a TXV operates more efficiently in varying environmental conditions (theoretically at least). To operate, the TXV has a needle and seat that restricts the flow of refrigerant and acts as the orifice. This needle, when opened, allows more refrigerant to flow and, when closed, restricts refrigerant flow. There are three factors that affect the flow of refrigerant flow through a TXV. A sensing bulb filled with refrigerant exerts force to open the TXV. Since gas pressure increases with a rise in temperature, the bulb, which is attached to the suction line after the evaporator coil, “senses” the temperature of the suction line. If the suction line becomes too warm, the additional pressure created by the heated refrigerant opens the TXV more to allow additional refrigerant flow. A spring inside the bottom of the TXV exerts pressure to close the valve. An external equalizer senses pressure in the suction line after the evaporator, and also works to close the valve. In essence, the TXV is a constant superheat device, it sets a (relatively) constant superheat at the evaporator outlet by balancing bulb, spring and equalizer pressures. The primary method of charging a system changes based on the type of metering device. A piston system uses the superheat method of charging and the TXV uses the subcooling method of charging. No matter what primary method of charging you use it is still important to monitor suction pressure (Evap temperature) head (condensing temperature), Superheat, subcool and delta t (or some other method of air flow verification). While a TXV and a piston function differently the end result is a pressure drop and boiling refrigerant in the evaporator. You have seen the C terminal on a dual run capacitor before. You have also seen the C terminal on a compressor. It stands to reason that they would both connect together right? Wrong, They don’t connect together and they aren’t even related, at least not in the way that you think. The C terminal of a dual capacitor is actually fed from the OPPOSITE leg of power as the C terminal on the compressor. This is because you must power the start and run windings with the same leg and common with the other leg. S goes to the HERM terminal on a capacitor with the other side of that capacitor (C) going to the same leg that feeds R.
If you are new to the trade and you see the designation C or the word common don’t assume it is the same as other C and common terminals and start connecting stuff together… Unless you like creating smoke. Keep in mind that when we make Fahrenheit to Celsius conversions we use K (Kelvin) to show temperature difference like splits and DTD and we use C (Celsius) to show measured temperatures. Following mostly from two 45-50 minute podcasts from https://hvacrschool.com/checking-charge-without-gauges-podcast/ discussions between Bryan Orr HVACR School.com, expert tech, teacher, & business owner, andJim Bergmann, renowned HVAC-R expert & teacher, from Redfish instruments and the MeasureQuick app, providing a detailed explanation of why techs should not connect gauges & hoses to system just to check refrigerant charge (in many cases). Non-invasive measurements with only temperature data taken. Exact same way one checks if a typical refrigerator was operating properly which has no ports to attach hoses and gauges. Just measuring DTDs (Design Temperature Differences) and line set piping temperatures are non-invasive, involve less liability both for the system and technician safety, and demonstrates technical knowledge and best practices. Better for the refrigeration system and the environment (“green”) since it saves R22 and R410A released to atmosphere. Eliminate more call backs and potential premature system cooling (and heating for heat pumps) performance problems and failures due to cross contamination, moisture contamination and lost refrigerant. Saves the customer money on refrigerant added due to connection losses. Evaporator DTD (Design Temperature Difference) is the designed difference between the evaporator coil saturation/boiling temperature as measured on the suction gauge and the return air temperature. 35°f (1.66°C)of difference is considered normal for a typical system set at 400 CFM(679.6 m3/h) per ton airflow. Oversized evaporator coils and increased airflow above 400 CFM(679.6 m3/h) per ton will result in lower DTD and lower airflow with smaller coils will result in higher DTD. Condenser CTOA (Condensing Temperature Over Ambient) is the temperature difference between the condensing coil saturation / condensing temperature as measured on the liquid line high side gauge and the outdoor temperature. This difference will vary depending on the efficiency of the system/efficiency of the condenser coil. Delta T (Evaporator Split) is the temperature difference between the return and supply air. Delta T will vary quite a bit depending on airflow and indoor relative humidity. This chart shown below is designed for a 400 CFM(679.6 m3/h) per ton system. Lower airflow will result in a higher delta t and higher airflow will result in a lower delta t. This is why Jim Bergmann does not prefer Delta T as a firm diagnostic or commissioning tool but rather as an approximation of airflow. Target Superheat on a TXV system is dictated by the design of the TXV. Usually target superheat on a TXV system will be 5°f- 15°f (2.75°K – 8.25°K) at the outlet of the evaporator where the TXV bulb is located. On a piston system the target superheat is calculated using a superheat chart and measuring and plotting the outdoor dry bulb temperature and the indoor wet bulb temperature. Target Subcooling on a TXV system will be listed by the manufacturer but is generally between 8° – 14°(4.4°K – 7.7°K)subcool. Subcooling will vary quite a bit on fixed orifice systems but 5°-20°(2.75°K – 11°K) is a common range. Airflow restriction with dirt buildup as main cause – dirty outdoor coil, dirty indoor coil, dirty filter, dirty blower blades/inside the housing, Return/Supply duct restrictions, blower motor speed or operation problems, and if the homeowner installs a so-called high efficiency, nothing-gets-thru-including-air filter. 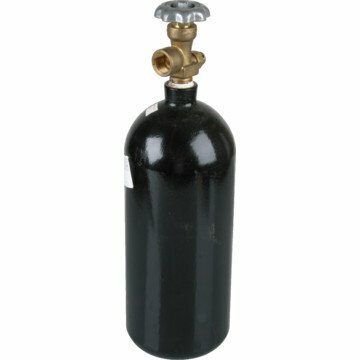 The following risks, problems, and liabilities occur and eventually develop when technicians attach gauge hoses every time to check the system refrigerant characteristics versus just using measured system temperatures and knowledge of Return/Supply air TD, Evaporator/Condenser split, and refrigerant P/Ts. Not attaching hoses & gauges to systems without good reason is actually correct practice and the following could be avoided or greatly minimized. Were the hoses on the gauges left open to the atmosphere in the back of the truck used for the prior R410A system? If so, the coating of POE (polyester) refrigerant oil (highly hygroscopic) would have absorbed moisture which, if not correctly purged with dry nitrogen, would contaminate systems by inputting moisture which will cause TXV and liquid filter-drier freeze ups (blockages), cause contaminated refrigerant (making R22 recycle subject to high fees and fines), and cause acids which will attack and corrode compressor surfaces (copper plating), valves, and windings. Hoses should always be tightly connected to the manifold parking ports to prevent moisture contamination. Are techs properly & carefully disconnecting gauge hoses while the system is running? If not, perhaps a service call back will shortly occur since, every time hoses are connected and disconnected, some refrigerant is lost. If the liquid hose is not charged back through the manifold and Suction hose, several ounces or more in the liquid hose are lost if techs inadvertently or on purpose blow or dump refrigerant by not properly disconnecting gauge hoses while the system is running. This occurs if techs are inexperienced or decide not to take the time or are not equipped with low-loss-ball-valve hose end fittings to slowly, carefully, after purging hoses if needed, charge from the liquid hose (holds 7x the R410A as the vapor or suction line; 10X for R22) through the gauge manifold into the vapor or suction hose back into the running system. If this procedure is not done correctly, air and moisture can enter the system. 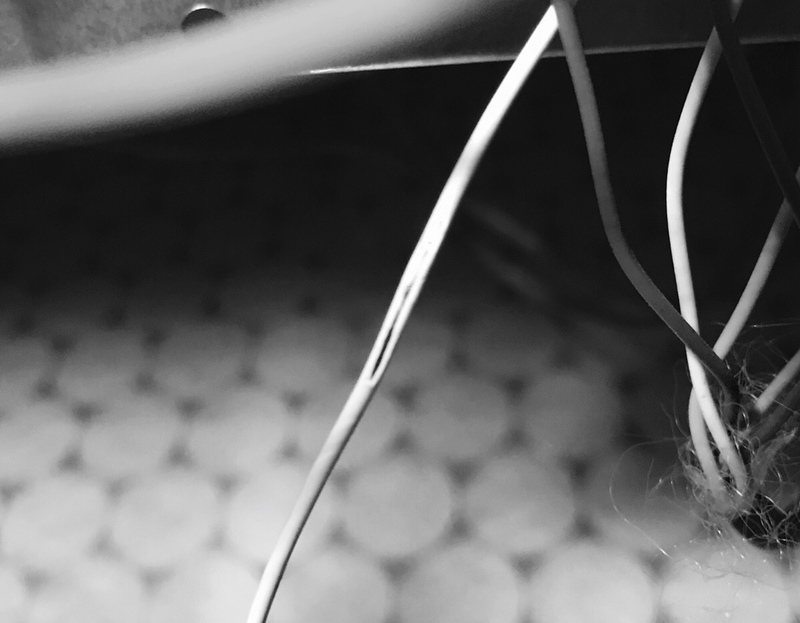 After one, two, or three years of visits, techs can be chasing “leak(s)” created by multiple connects/disconnects. Caps no longer inadvertently left off on Schrader valve ports leading to leaks. Reduced safety issues for techs since less chance of refrigerant in eyes and frozen-fingers and loss refrigerant to the atmosphere. Data to recordduring first-time system performance assessments and new system commissioning using refrigerant gauges so that benchmarks exist to compare to future checkup visits but without attaching gauge hoses if no observed or reported system problem reasons. Evaporator DTD (Design Temperature Difference), also called “Split”, is temp difference between the Return air dry-bulb (DB) temp and the refrigerant saturation temp of the coil – either 35°F(1.66°C) at 400 CFM/(679.6 m3/h) ton to 525 CFM/(891.98 m3/h)ton or 40°F(4.44°C) at 350 CFM/(594.65 m3/h) ton. TESP (Total External Static Pressure) inches WC of the air handlerbetween non-turbulent point in Return plenum before a clean filter and in the Supply plenum non-turbulent area. With caution, drill 3/8”-1/2” holes to cover when done with vinyl or plastic professional looking plugs. On a furnace drill above the filter for the return reading and between the furnace and the coil for the supply reading. Note if the coil was wet or dry since TESP changes. Pressure Drop “wc across thefilter. Pressure Drop “wc across theEvaporator coil, note if wet or dry coil, and plug holes. Indoor Blower motor (IBM) running load amps (RLAs) compared to nameplate Rated or Full Load Amps (FLA) with the panels on. SLT and SH at the Condenser (Compressor inlet). SH within +/– 5°f(2.75°K) is acceptable. For a TXV, superheat average 10°f(5.5°K) plus additional 1-3°F (.55°K – 1.65°K)of SH the Suction/Vapor line absorbs (as measured). For a fixed-bore or piston Metering Device at the indoor coil, a total “target SH” is determined by outdoor DB and indoor WB temps. Condenser DTD or Split is temp difference between the refrigerant saturation temp and the DB temp of air at entering middle of the coil. As SEER increases, condenser surface areas are larger but are limited by diminishing heat transfer capability as the temperature difference between the outdoor air and the coil temperature decrease. LLT (Liquid Line Temp) and SC (SubCooling) at the Condenser outlet. SC within +/– 3 °f(1.65°K) is acceptable. Ex. for 85°f(29.4°C) ambient, 13 SEER with a 20°f(11°k) DTD split, and 10° (5.5°k) Subcool nameplate, the Liquid Line temp = 95°f(35°C) = 85°f(29.44°C) outdoor + 20°f(11°k) CTOA – 10°f(5.5°K) Subcooling ). Compressor and OFM running load amps (RLA) compared to nameplate Rated and Full Load Amps (FLA), respectively. Measured suction temperature differential between the suction line leaving the evaporator and entering the compressor in °f. So if the suction line is 50°f (10°C) inside and 53°f (11.66°C) outside there would be a 3°f (1.65°K) temperature rise. Measured liquid temperature differential between the liquid line leaving the condenser and entering the metering device in °f. So if the liquid line is 95°f (35°C) outside and 92°f (33.33°C) inside there would be a 3°f (1.65°K) temperature drop. Data to recordduring follow-up seasonal checkup visits and compare to benchmark data. See if problems have or are developing and show improvement after any services are performed which offers value to clients/customers paying for the service call or membership fee. Service could be simple as a filter change, coil cleaning, and blower maintenance but, since have more time for PM, also identify potential electrical parts failures and inform clients to choose to fix now or later. TD between the Return air dry-bulb (DB) and Supply air DB. Should be in 16-24°F(8.8°K – 13.2°K) range depending upon sensible & latent heat content of inside air (see chart). Evaporator outlet SLT. If a TXV, should be within +/– 5°f(2.75°K) of benchmark reading. Fixed-bore or piston reading depends on inside heat load, Return air WB, and outside air DB temp. More practical SLT determine at outdoor coil Suction/Vapor line. TESP (Total External Static Pressure) “wc of the air handler and note if wet or dry coil. Static Pressure Drop “wc across theEvaporator coil, note if wet or dry coil, and re-plug holes. SLT at the Condenser (Compressor inlet). For an indoor TXV, should be within +/– 5°f(2.75°K) of benchmark reading. For fixed-bore or piston indoor coil Metering Device, determine total “target SH” from outdoor DB and indoor WB temps. Air flow through/across Evaporator and Condenser coils will only decrease and not “magically” increase. The primary reason is dirt accumulation on air flow components e.g. coil fins, indoor filter, indoor blower blades, outdoor fan blades. Other reasons include leaky air handler cabinets from gaps at Return & Supply duct connections, holes at line set inlet to Evaporator cabinet, and a bypass duct with no damper to close off air flow between Supply and Return in Cooling mode. The only action that increases airflow is increasing the fan or blower RPM or speed. If Suction line supposed to be 54°F(12.22°C) (40°F(4.44°C) coil + 10°f(5.5k) SH if TXV + say 2F SH addl to Vapor line length) but is 47-48°F(25.85°K – 26.4°K), look for indoor air flow restriction issues. The evaporator is like a boiling pot of water but a sealed system so if the burner heat is turned up, pressures and temperatures increase. More than additional 2–4°f(1.1°K – 2.2°K) Superheat at the Compressor inlet, probably better insulate the Vapor line. Maximum inlet temperature Suction line at Compressor inlet should be below 65°f(18.33°C) . If not, the Compressor will have the potential overheat and oil breakdown can occur do to excessive discharge superheat / temperature. TXV designed to maintain 5-15°f(2.75°K – 8.25°K) superheat (10°f(5.5°K) given +/- 5°f(2.75°K) range) but only at the Evaporator outlet or where the sensing bulb is located on the suction line. Some SH is added to the suction line before gets to the Compressor inlet. However, if the line set is located in a 145°F(62.77°C) attic and Vapor line not well insulated, significant SH gain will be seen at the Compressor inlet. Vapor line needs good insulation (also for Heath Pumps in Heating mode) e.g. with thicker tubing insulation and/or using a foil-bubble wrap or “Reflectix” attached with foil tape since reflects IR heat. Before we convert temperature scales, let’s take a step back and think about what temperature is in the first place. Temperature is proportional to the average kinetic energy of the random microscopic motions of the constituent microscopic particles, such as electrons, atoms, and molecules. Higher temperature means there is more average heat ENERGY when compared to the same mass of the same substance at a lower temperature. While there is no limit to how high the temperatures of matter can go (at least that science is aware of), there is a bottom limit and that is the point at which there is NO HEAT, and therefore no molecular or atomic motion. That point of no energy is called ABSOLUTE ZERO. Absolute zero, is a theoretical point because it has never been (and likely will never be) achieved. For most of us, absolute zero has no real application and this is why our most common temperature scales are tied to freezing and boiling instead of absolute zero. Anyone can make up their own temperature scale. All you need to do is pick a zero based on a known (say boiling or freezing water at atmospheric pressure) and then decide on a size of the degree. In the “Fahrenheit” scale a guy named Daniel Fahrenheit decided to make a temperature scale, the coldest “constant” he had at his disposal was a water and brine solution, so he called that 0°F. He then used the body temperature of an “average healthy man” and somewhat arbitrarily called that 96°F. This dictated the “size” of the Fahrenheit degree as well as the zero point. From there he ascertained that on his scale water froze at 32°F and boiled at 212°F at sea level (14.7 psia). The Celsius scale (often called Centigrade by old timers) logically used the freezing and boiling of water as the 0° and 100° points. This established a logical starting point at the freezing of water as well as LARGER degree size than the Fahrenheit scale. This means that if we are discussing 10°F of subcooling, we would simply multiply it by .555 to see that it is 5.55°C of subcooling. Scientists didn’t like the old Fahrenheit and Celsius systems because they are scientifically nonsensical. There is NO SUCH THING as negative heat! exclaimed the angry Mr. Kelvin & Rankine (at least that’s how they do in my imagination). So they invented scales where zero is ABSOLUTE ZERO so there are no negative numbers. The Kelvin scale starts with 0 at absolute zero and uses the Celsius degree size and Rankine starts at absolute zero and uses the Fahrenheit degree size. So whenever we make a conversion from Fahrenheit to Celsius on the SCALE we show the converted temperature as °C, but when making a conversion that is simply as comparison or a differential (DTD, Delta T, CTOA, Superheat, Subcool etc…) we show it as °K to help us differentiate. A very common means of control seen on refrigeration equipment is the pump down control. Why do we use this rather than just cycling the compressor off and on like a residential HVAC unit? 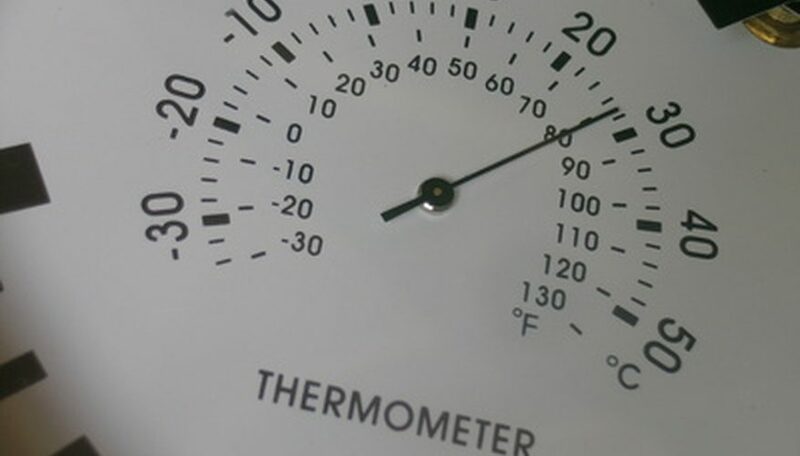 Since most refrigeration equipment tends to be located outdoors, it comes down to ambient temperatures and the basic properties of refrigerant we all understand about temperature and pressure and how they can conspire to kill a compressor. During periods of low ambient temperatures, if we were to just cycle the compressor off, it can easily get colder at the compressor than it is inside the space. If the compressor cycles off for long enough as it would during a defrost cycle, refrigerant vapor will start to condense within the crankcase. If we are lucky, the extent of this problem will be a unit that doesn’t start because the pressure of the refrigerant is lower than the cut in setting of the pressure control. What typically happens, though, is that enough refrigerant will condense to start to settle under the lubricating oil causing a lack of lubrication on restart leading to bearing wear and premature failure. If enough refrigerant condenses within the compressor housing, the resulting damage could cause valves, pistons and other internal parts to break if liquid gets into the cylinders. One thing that is applied across almost all sectors of our industry is crankcase heaters. These small heaters, either immersion style heaters or wrap around style heaters add a small amount of heat to help keep the compressor oil warm and help to prevent vapor from condensing there. The effectiveness of these are limited by the wattage of the heater, the ambient temperature and the size of the compressor. Too low an ambient or too large a compressor and they start to lose some effectiveness. So, how else can we prevent condensation within the compressor? Let’s look to the pressure/temperature relationship of refrigerant for the answer. If we lower the pressure in the crankcase to a point where the saturation temperature of the refrigerant is below the ambient temperature the compressor is in, the refrigerant cannot condense. This is why we use a “pump down” type system. In operation, a pump down control consists of little more than a liquid line solenoid valve, a thermostat control, and a low-pressure control. When the thermostat or defrost control opens, the solenoid de-energizes, stopping the refrigerant flow and allowing the system to pump the suction pressure down before the low-pressure control turns the compressor off. How low should we set that cut-out? The Heatcraft installation manual has us setting the cut out as low as 1” Hg vacuum, depending on the minimum expected ambient. I like to set the cut in just below the lowest expected ambient temperature so that you don’t wind up in a situation like I mentioned earlier. If the ambient gets too low and the cut in is too high, your unit won’t cycle on until it warms up enough resulting in a preventable service call. Combining a pump down control with a crankcase heater and ensuring that all controls work properly at all times can save your compressor from damage in cold weather. Erich Vinson is a tech from Colorado and one of the most entertaining people I interact with online. He wrote this quick tech tip on stripping back the outer jacket properly on control wires and it happens to also be something I preach. Thanks Erich. In the first picture (above), you can see what happens when you try to use a pair of wire strippers to remove the jacket. It damaged the wire underneath. Instead use the pull string when you strip the jacket off of a low voltage (control) cable. Use your strippers to remove about three inches of the jacket (or cut into the end like I show above – Bryan), and use the pull string to peel away the jacket, as is shown in the below. Then, cut off the wires just below where you used your strippers. The result will be low volt wires with no damaged insulation, and no hard to find low voltage short circuits. 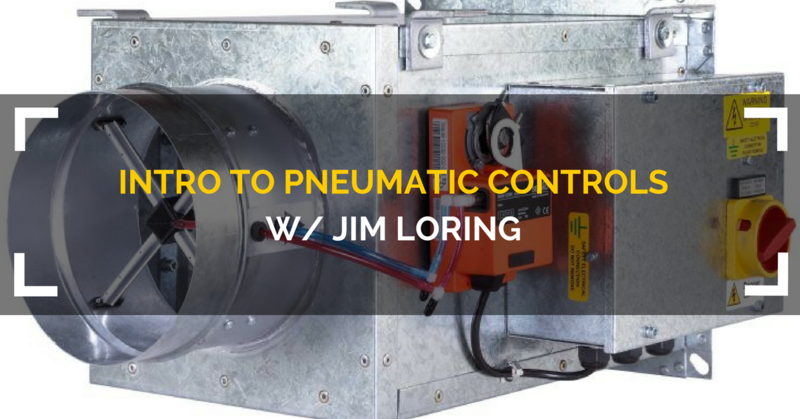 We talk to west coast commercial tech Jim Loring about pneumatic controls and VAV. Every contractor is different, I get that. we don’t all need to do everything the same way or include the same services with repairs but there are some “best practices” that can save you a lot of heartache before, during and after you make a big repair. And this is just for cooling side issues. 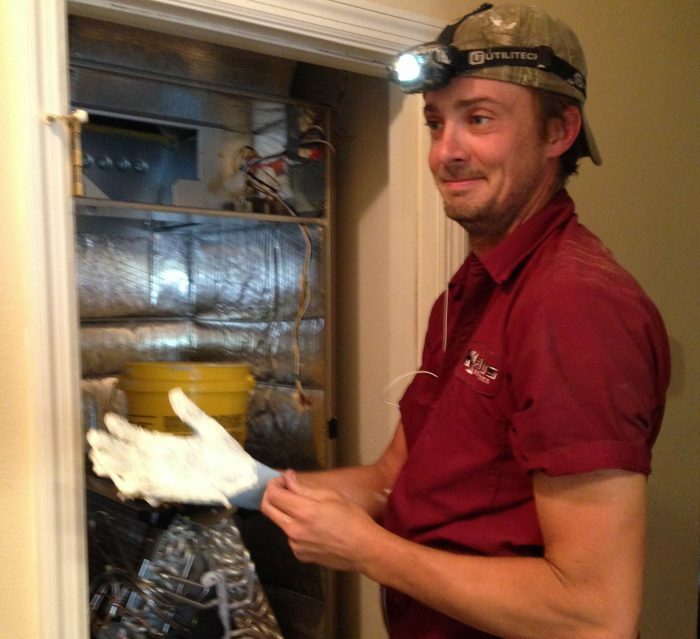 If the system is a fuel-burning appliance you would inspect every part of the furnace operation as well. Testing all of these things is commonplace AFTER a repair, but it makes so much more sense to do it beforehand so that you can either charge appropriately for any of these items that need to be addressed or let the customer know you are including them to differentiate you from the competition. There are a few things you need to do as a matter of course during major air conditioning or refrigeration repairs that just make good sense to prevent callbacks. You can include them in the price or not or not but either way, it will save you more than it costs to do it. Do these things along with all of the standards tests you perform to make sure that you have no issues and that whatever caused the fault in the system has been rectified and you will save a lot of problems. When the customer spends a lot of money getting a system fixed, they don’t want to turn around and have it fail for an “unrelated” reason. While this list is clearly tailored to the residential and light commercial air conditioning market, every piece of equipment has its common maintenance items. So what do you do every time when you make a major repair? 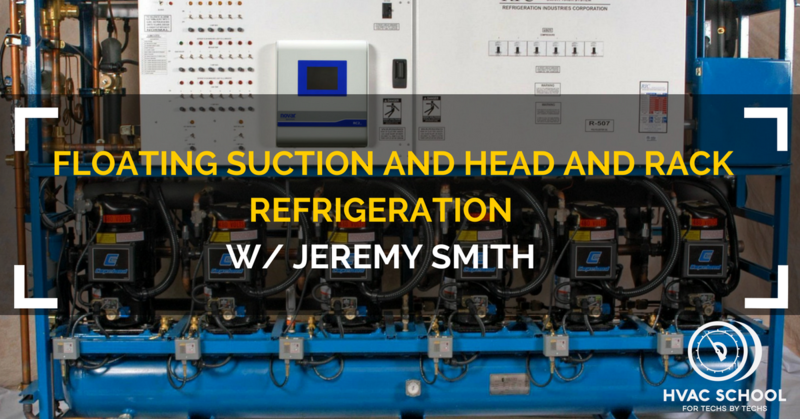 Jeremy Smith goes over floating suction and floating head refrigeration strategies as well as some more on low ambient operation.